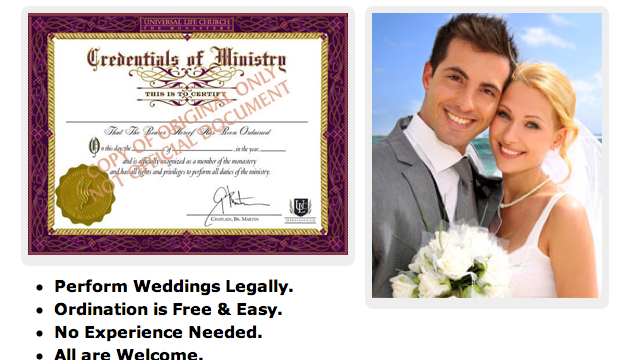 This is one of those online churches where anyone can be ordained as a minister. You don’t need a denomination or even religious belief; you just sign a document, pay a registration fee and then “bam!” – you’re wearing a linen shirt on a beach officiating your friend’s wedding. The article examines the history and philosophy behind the numerous branches and offshoots of this modern religion, discussing the debate behind the ethos or raison d’etre of online churches: are they real or a racket? Personally I’m just happy if it makes weddings more lively. At a park in Sydney two weeks ago, I cracked open a beer and watched some circus entertainers/hipsters celebrate a wedding; they closed the ceremony by throwing pies at each other, then covered in whipped cream, the bride and groom kissed. Best wedding episode ever. Richard Jackson moved to Australia from Northern Ireland. He likes it here but detests that parking meters often don't supply change.